You may have heard last week that President Donald J. Trump trolled CNN pretty humorously with a tweet containing a doctored video of him from his WWE wrestling days “taking down” someone who had his face covered by the network’s logo. Since Washington’s Left-wing media establishment doesn’t have a sense of humor and believes that everything they publish or air is taken as gospel by all Americans, you can imagine that the parody did not sit well with CNN brass, editors and reporters. 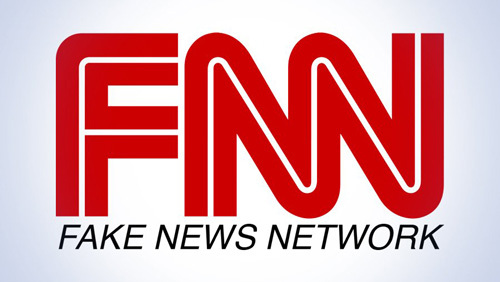 Oh, yes — the tweet also included these insulting (but very accurate) hashtags: #FraudNewsCNN and #FNN (Fraudulent News Network). Most Americans by far don’t watch CNN. Most Americans by far don’t trust the establishment media cabal that CNN belongs to. And most Americans by far would consider what CNN did in response to be childish, wrong and, frankly, dangerous. However, he maintained that “CNN reserves the right to publish his identity should any of that change,” which appears to be a direct threat to identify said user, HanAssholeSolo, if he continues his “ugly behavior” on social media platforms. So now, apparently, CNN — tired of being discredited and made fun of — has turned to enforcer, taking it upon itself to punish people for exercising the same First Amendment right that allows the network to exist in the first place. This is the same network, mind you, that has complained repeatedly about Trump’s “intimidation” and “bullying” tactics; now it is asserting the role of Media Mafia. We shouldn’t be surprised by CNN’s behavior, quite frankly. The Left is an authoritarian hate group, period, and has no problem persecuting or scapegoating others for political gain. Remember the obscure video maker who the Obama administration jailed in order to falsely blame him (and not President Obama or then-Secretary of State Hillary Clinton) for the loss of four Americans (including a U.S. ambassador) in Benghazi, Libya? Yeah, he now lives in a homeless shelter, his life destroyed. CNN is now is the same class as Obama, Clinton, and former national security advisor Susan Rice, all of whom lied repeatedly about the video. These people are the lowest forms of life on earth.